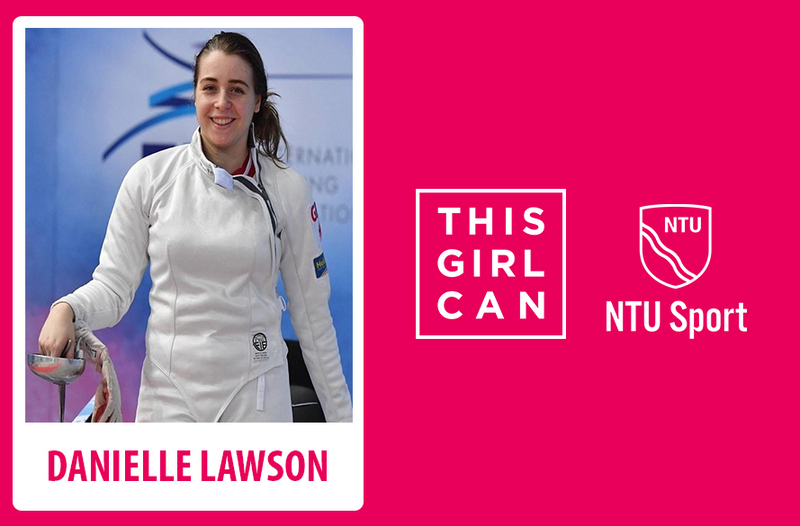 Part of This Girl Can Week, we spoke to fencing sport scholar Danielle Lawson about why she loves sport. Danielle tells us about her proudest achievement in sport and who her female role model is. I am always so grateful for the opportunities I have to compete amongst the best fencers. I will always have a positive attitude no matter the ability of my opponent. Definitely, I think all sports should be accessible to everyone, having women well represented in sports gives girls good role models that will pass on valuable lessons, which can be replicated in their own sport and life. What are the benefits sport and physical activity can offer to people? I use sport as a way to escape from my busy academic life. It’s a way to destress, meet new people and work as a team. Sport also helps people preform academically as the skills required are transferable e.g. goal setting, repetition and memorisation. Do you have a female role model that you most identify with and why? (Doesn’t have to be sport-related). My mum is my female role model, she is so supportive and motivates me to be the best I can. She has given me so many of the tools I need to be an elite athlete and I couldn’t have done it without her.